This best medical Joomla template has very clean design that will attract more visitors to your websites and make your company highly visible. It is very important to keep websites related to medicine, doctors, dentistry, etc. clean and responsive as the medical field is very special and unique. Free and Premium Medical Joomla template 002044 is based on the Bootstrap Framework. The Bootstrap Framework makes it fully responsive to all screen resolutions and aspect ratios. 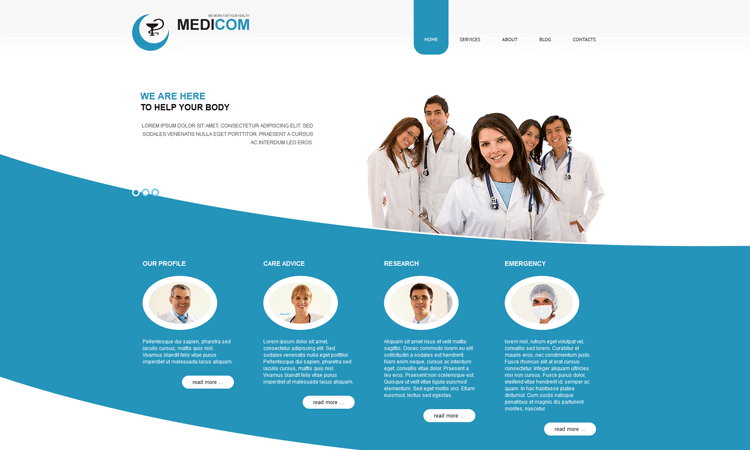 A responsive template is always preferred when it comes to medical theme templates. The best part about this template is that it is brightly colored and that makes it look all the more attractive. That would certainly reassure your patients. You can also edit and customize the template any way you want to. You can add bright images, edit the text and even change the color schemes. This template is tailored for the variety of online business projects. It is delivered with proper arrangement of content, clearly-defined featured blocks, stylish background in contrasts to effective page elements. The template will help you build your site in no time to your liking with minimal effort.